A documentary detailing the extent to which Facebook and Google profit by exploiting and manipulating nearly every facet of their users’ lives came out about six months ago, and some are claiming it is starting to change the conversation about big tech. The documentary has interviews with several high-profile public figures, including clinical psychologists Dr. Jordan Peterson and Dr. Robert Epstein, who explain how, in their estimation, these tech giants hold great power that threatens society. The Daily Caller interviewed the film’s director, M.A. Taylor, on how the general perception of Google and Facebook has changed since the movie’s debut. He went on to call Pichai’s testimony in front of the House Judiciary Committee last December “a large part of our goal” in making the film. Pichai was peppered with questions about political biases from Republican lawmakers like Florida Rep. Matt Gaetz. Committee members also asked him about leaked communications published by The Daily Caller News Foundation in November. The documents showed the tech giant’s employees debated burying conservative media outlets in Google’s search function as a response to President Donald Trump’s election. Many Democrats spent the hearing dismissing claims of anti-conservative bias. 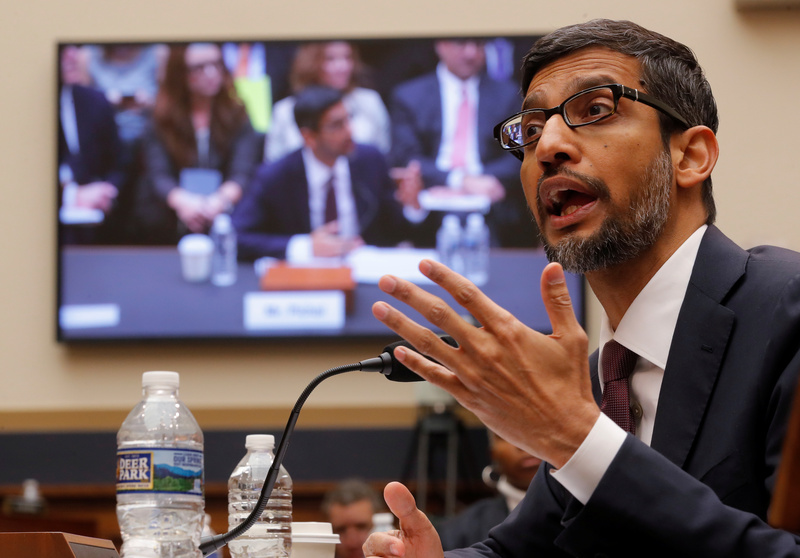 Democratic Tennessee Rep. Steve Cohen also criticized Pichai and Google during the hearing, but for the “overuse” of conservative news outlets. He based his claim on the fact that when he Googled his name, articles from Breitbart and The Daily Caller came up. Epstein’s research, which revealed that specific search results can sway opinions, was a major part of the film and many Republicans mentioned it in their questioning of Pichai. He cited a blow Facebook has taken to its reputation in recent years, after being asked whether or not the film could have played a role in the decline. He referenced an Axios-Harris poll from March that showed Facebook’s reputation dropped further than any other company, from 51st place last year to 94th. “‘The Creepy Line’ is more an outcome of that trend rather than a cause,” Epstein said, essentially diminishing the impact of the film. 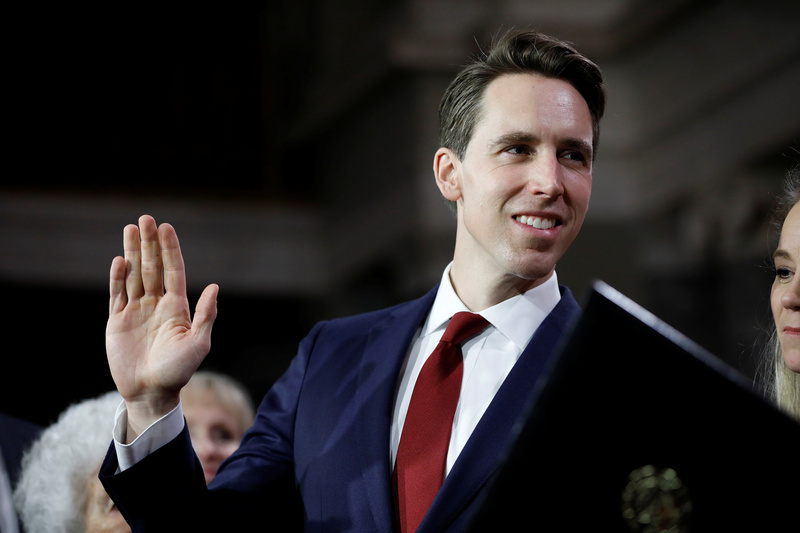 More recently, in a battle to raise awareness regarding Google’s perceived influence, Republican Missouri Sen. Josh Hawley got into a heated back-and-forth during a judiciary hearing with Google senior privacy counsel Will DeVries. One of the few Democrats to express concern over the power of tech companies is Massachusetts Sen. and 2020 presidential candidate Elizabeth Warren. She has made breaking up big tech a big part of her platform. “Today’s big tech companies have too much power — too much power over our economy, our society, and our democracy. They’ve bulldozed competition, used our private information for profit, and tilted the playing field against everyone else. And in the process, they have hurt small businesses and stifled innovation,” Warren wrote in a blog post last month, where she described new proposals which would impose new rules against big tech companies. Her proposal would impose new rules on tech companies with $25 billion or more in annual ad revenue, forcing companies like Google to reduce their hold on online commerce.